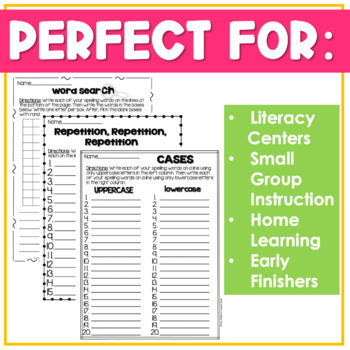 This resource is sure to help out your most struggling spellers. 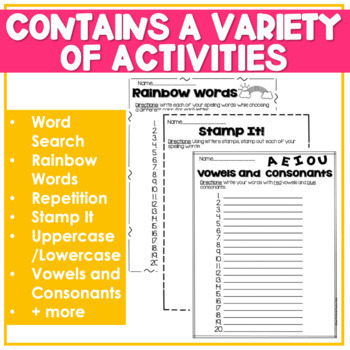 It contains 25 activities that can help students review their spelling words for ANY WORD LIST! 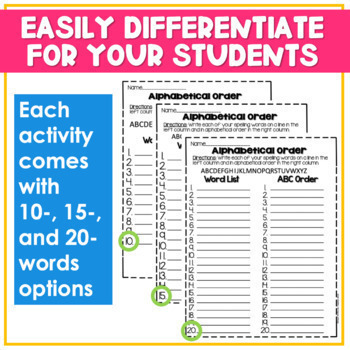 It is a great resource for Differentiated Instruction, homework, literary centers, and more. "Very excited to use these. I love that you have included pages for 10, 15 and 20 words, thank you!" 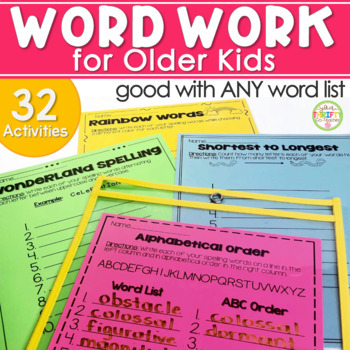 "Clever, extensive selection to add to word work.Thank you." 1. Go to your "My Purchases" page (you may need to login). 2. Click on the "Provide Feedback" button next to your purchase. and leave a short comment for the product your purchased.